After a popular type of weight-loss surgery, nearly 21 percent of patients develop a drinking problem, sometimes years later, researchers report. The researchers followed more than 2,000 patients who had weight-loss surgery at 10 hospitals across the United States. Over seven years, more than 1 in 5 who had Roux-en-Y gastric bypass weight-loss surgery developed a problem such as alcohol abuse or alcoholism, compared with around 11 percent of those who underwent gastric banding. Roux-en-Y gastric bypass is a surgical procedure that significantly reduces the size of the stomach and changes connections with the small intestine. Gastric banding, another weight-loss option, involves placing an adjustable band around the stomach to reduce the amount of food it can hold. In recent years, Roux-en-Y gastric bypass has become more popular than gastric banding because it leads to greater weight loss, according to the study authors. They said their findings indicate that weight-loss (bariatric) surgery patients should receive long-term follow-up to watch for and treat drinking problems. The study results were published online May 15 in the journal Surgery for Obesity and Related Diseases. "We knew there was an increase in the number of people experiencing problems with alcohol within the first two years of surgery, but we didn't expect the number of affected patients to continue to grow throughout seven years of follow-up," said study author Wendy King. She's an associate professor of epidemiology at the University of Pittsburgh's Graduate School of Public Health. 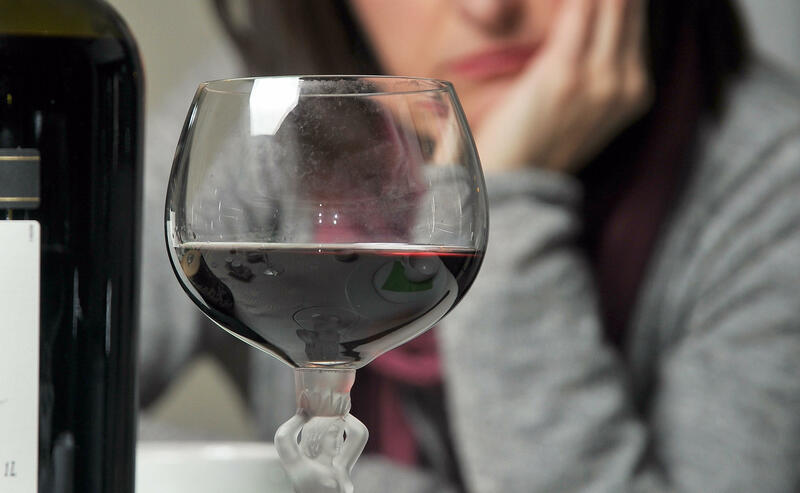 "Because alcohol problems may not appear for several years, it is important that doctors routinely ask patients with a history of bariatric surgery about their alcohol consumption and whether they are experiencing symptoms of alcohol use disorder, and are prepared to refer them to treatment," King said in a journal news release. The study doesn't actually prove that Roux-en-Y leads to alcohol abuse. However, other studies have shown that compared to banding, it's associated with higher and quicker elevation of alcohol in the blood, the researchers said. Moreover, some animal research has suggested that Roux-en-Y may affect areas of the brain associated with reward, possibly increasing alcohol reward sensitivity, the researchers noted. Although Roux-en-Y gastric bypass patients were nearly four times more likely than gastric banding patients to say they'd received treatment for substance abuse, few study participants said they'd undergone such treatment, the researchers found. Overall, 3.5 percent of the Roux-en-Y patients reported getting substance abuse treatment, far less than the nearly 21 percent who reported alcohol problems. "This indicates that treatment programs are underutilized by bariatric surgery patients with alcohol problems," King said. "That's particularly troubling, given the availability of effective treatments."